Here at No Fuss Computing we do create our own software. we create software not only as a hobby but to create something unique to assist the end user. When we create software its aim is that of functionality and ease of use over cosmetics, this is due to everything here at No Fuss Computing being run by one person. We may be a bit slow on the development side getting to an end product but rest assured that our goals, some mentioned above are being met first alongside quality. When we create software it does go through a rigorous beta testing system, this ensures that 99.9% of bugs and/or issues are discovered before you as the end user utilizes our software. Our beta testing consists of 3 stages that have differing degrees of computer knowledge and experience. If a bug or issue is discovered at any stage it will return to Stage 1 BETA testers and start the process again. provide information on our website about it. Fig 2. 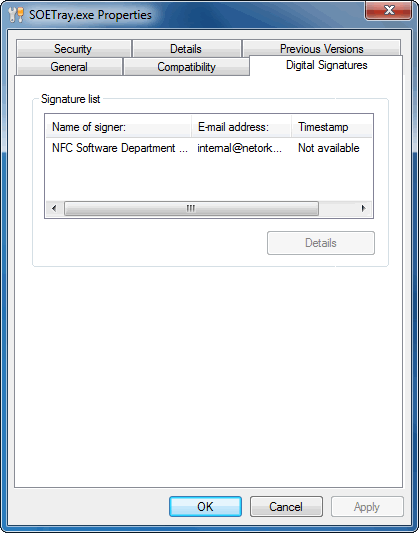 Below is the digital signature of one of our SCMS files. Fig 3. Below is what our digital certificate looks like. Our Current Public certificates including our CA Certificates can be downloaded directly from our website using the following links. 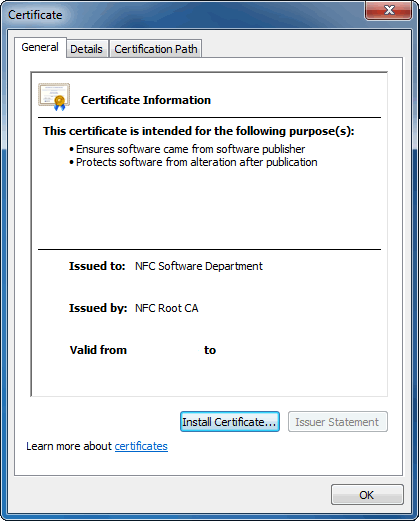 Our certificates are self signed certificates, to enable your PC to trust us, the NWW root CA Certificate will need to be added to the “Machine Trusted Root Certification Authorities” store. 23 Dec 2023 In Use About to be phased out. 27 Oct 2020 In Use Current. 23 Dec 2018 Superceeded We have migrated to our new Root CA as above. This CA is no longer in use and has been revoked. WARNING: If you get software claiming to be from us and the CA Certificate thumbprint's do not match the details above or it is not signed, IMMEDIATELY DELETE IT AND NOTIFY US.